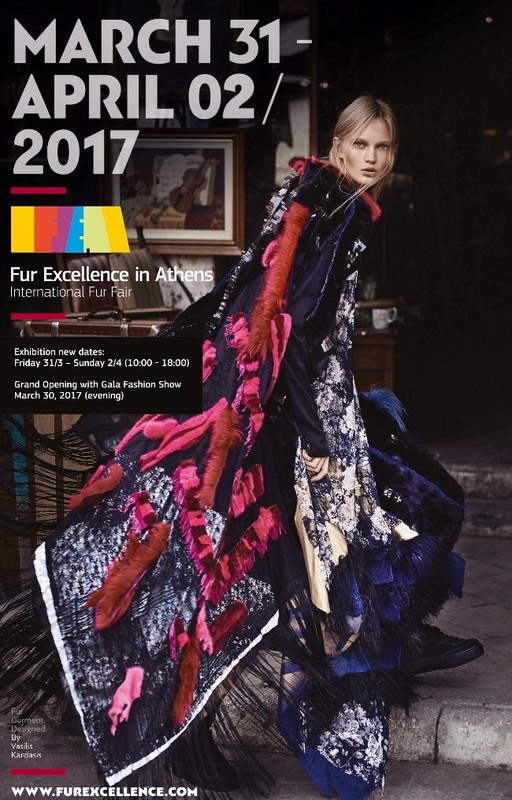 From March 31st to April 2nd 2017, Fur Excellence in Athens, International Fur Fair welcomes you in a unique fur event. FEA 2017 is the most vibrant environment for fur trade, that offers the richest range of high quality fur and leather products, hosting all product groups of the industry. Leading Fur Brands and Fur Producers from around the world, display their latest collections offering the most profitable deals. Make sure you don’t miss the Grand Opening of FEA 2017 with Gala Fashion Show being held on March 30th (evening).